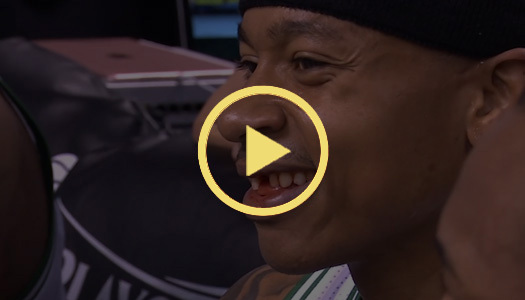 It was painful to watch how Isaiah Thomas, our Washington Huskies NBA star, lost his tooth defending Otto Porter Jr. diving down the lane. The tooth literally went flying. That could have been prevented if he wore a mouthguard. Most parents and patient usually do not understand that initial treatment is just the beginning and that the restorative treatment will need to be redone several times during the athlete’s lifetime. The cost of treatment over the course of a child’s athletic career and beyond is a major expense, not to mention how many missed school hours. Dr. Lin recommends custom-fit mouthguards because they provide a superior fit and retention compared to boil-and-bite mouthguards. With a custom-fit mouthguard, the athlete can speak, breathe, and play hard without trying to hold the mouth guard in place. We will design and determine the appropriate level of protection (thickness) of your custom mouthguard depending on the types of sports and your child’s age. What materials are sports mouthguards made of? Our custom NBA & NFL Quality laminated pressure-formed mouthguards are made of Drufosoft® Sports Mouthguard Material using the state of the art Drufomat Scan pressure thermoforming machine. Every mouthguard is BPA and latex free. Is it more expensive than the ones from a sporting goods store? No. We make our own mouthguards that are affordable for every patient. Between games, it’s important to keep your mouthguard clean and dry. Rinse and brush with a toothbrush after each use. Store and transport the mouthguard in a sturdy container that has vents so it can dry to prevent bacteria from growing. Mouthguards need to be replaced as they wear down, and young athletes will have to have these replaced more often as the mouth grows and the teeth change. Typically, the life span for a mouthguard is about 3-6 mouths. During your regular dental checkups, bring your mouthguard for an evaluation. Is a sports mouthguard included in your team’s safety protocol? Ready to outfit your team with the safest mouthguards?